We have been approved by the Nationwide Mortgage Licensing System (NMLS) to offer you all the hours you need to renew your MLO license in one easy to use package that can be completed At Your Pace Online. Once you complete your course we will report your completion to the NMLS for you automatically. Licensed in multiple states? 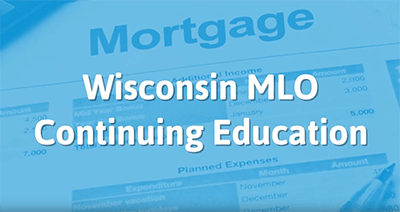 Feel free to enroll into any MLO CE course to start and contact us to set up a custom education plan for the remaining states where you are licensed. MLO licensees who did not complete their education before December 31st are required to take Late CE. Licensees must take late CE for each year they have missed. The NMLS \'Reinstatement Period\' runs from January 1st until February 28th. During this period the NMLS will be accepting Late CE classes and AYPO will only be selling late CE classes. If you need to take regular CE classes for your 2019 CE requirements during this period please contact our customer service department and we will be happy to help you. This is the 2018 Late CE course. This is only for licensees who failed to complete the CE required for their 2018 renewal during the 2018 calendar year.